Give the crowd your best in this Plus Size Dotted Clown costume for men! This is an exclusive size you'll only find here! Some people look at this clown and smile ear to ear with childlike happiness. However, some other people don't experience the same amount of joy. 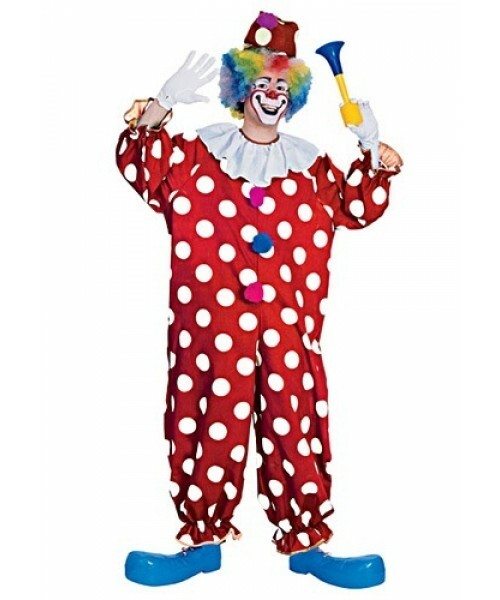 Can you believe that some folks look at this cheery clown and start trembling in fear? Hmm, how very weird. 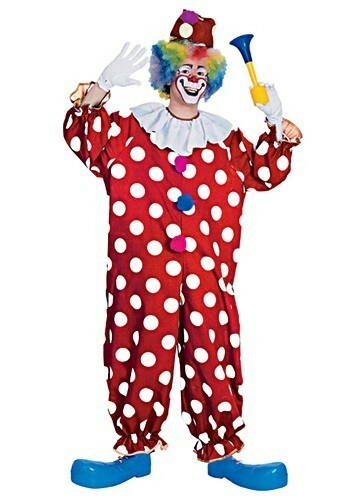 So, if you are in the market to both delight and terrorize people then this Plus Size Dotted Clown Costume is a good choice.